Happy Wednesday everyone! Last week we started talking about the battle against aging, and how important it is to use the right products for your skin. We mentioned that medical grade skincare was definitely the way to go once you have seen a specialist. If you missed that post, you can see it here. Today we are going to take you even deeper into our skincare journey. While we love our skincare, there are some issues that topical treatments cannot resolve. When Whitney and I thought about taking other steps to improve our skin, we wanted someone we could trust. After looking around and doing lots of research we found Marietta Plastic Surgery. We reached out to them and we were fortunate enough for them to agree to take you along on our journey to better skin. Whitney and I both have very different skin goals, so the approach we took was different from one another. In this post we are going to take you through our consultation experience with Marietta Plastic Surgery. We are also going to share with you the steps we decided to take after meeting with the staff. One of my main concerns are the bags under my eyes, as well as crow’s feet. After trying everything you can think of including every eye cream out there, I was ready to try something new. 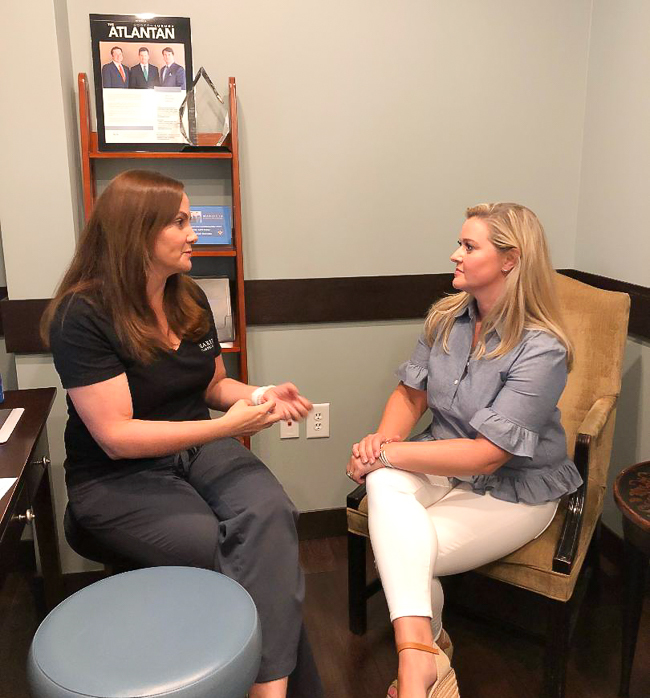 I was excited to sit down with the professionals at Marietta Plastic surgery to see what they recommended. I first met with Natalie McNeel, who is a physician’s assistant with the practice. Natalie was amazing! She took the time to listen to my concerns, and walked me through the different procedures that they offered. She recommended Botox around my eyes, as well as fillers around my cheeks to lift the eye area. 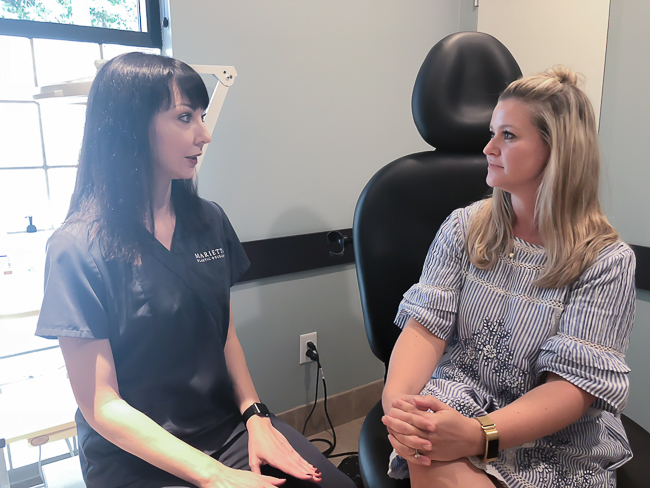 Having never considered Botox or fillers before, I was nervous to say the least. Natalie did such an excellent job of describing what Botox is and how it works. She also took the time to answer all of my questions. I felt completely at ease when I left the office, and I am excited about trying this procedure out to see if it helps. 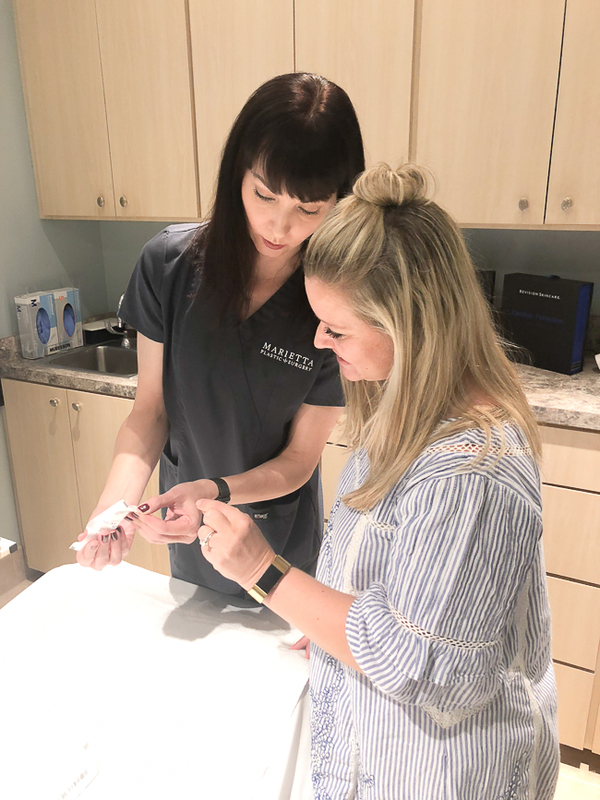 Botox is a prescription medicine that is injected into muscles and used to temporarily improve the look of moderate to severe expressions lines in the face over time. Botox should definitely be administered by someone who is licensed, and trained. The treatment only takes about 10 minutes and requires minimal downtime, with little to no pain. As Blaire mentioned, we have very different skin goals. I am new to the process of using medical grade skincare, so this has been a big eye opener. I, like a lot of you all, have been using products that I thought were keeping me looking youthful. Boy was I wrong. The first week that I started using Revision Skincare, which I received as a gift from Marietta Plastic Surgery, I saw a huge difference in my skin. It was smoother and more even toned. Something that has never happened in the years of using other products. But new skincare is just the start of my journey. I also sat down with Natalie to discuss the possibility of having Botox. Although it would decrease the lines in my forehead and my frown lines, I just wasn’t ready to commit to the procedure. I then had another appointment with Tonya Munn, the practice’s Aesthetician to discuss other available option. And I am so glad that I did. I decided to move forward with a Platelet Rich Plasma (PRP) Treatment. As I have mentioned, I love my GlowPro and this treatment brings that to the next level! PRP is also known as the Vampire Facial, thanks to the Kardashian’s. But contrary to popular belief, you don’t actually bleed. Thanks Tonya for easing my fears on that one! It’s called that because they draw your blood and place your own platelets back into your skin. 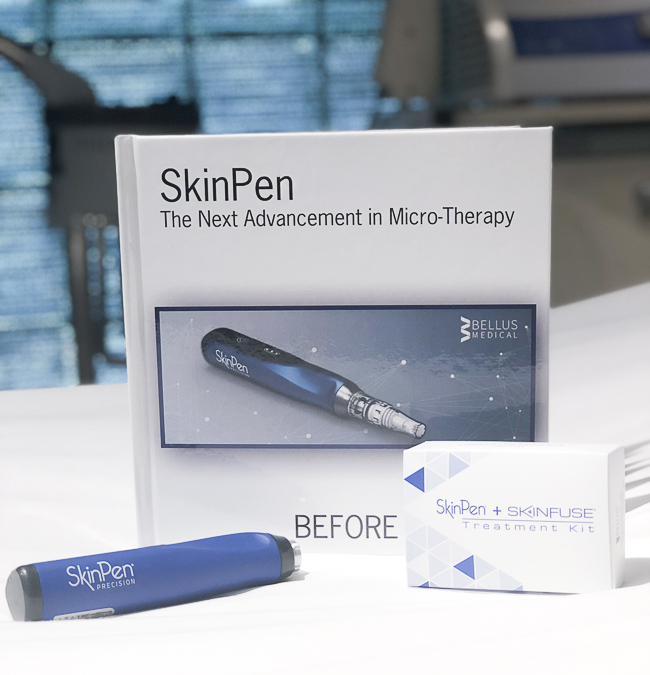 Which is done with a microneedler called the SkinPen. The Collagen Induction Therapy process releases growth factors and initiates a localized stem cell response. Throughout the following months, and with a few more treatments, skin looks refreshed and rejuvenated. Which is exactly what I am going for. Marietta Plastic Surgery came very highly recommended to us. Their staff includes three board certified plastic surgeons, as well as the specialists that we met with. Along with the procedures that we chose, there are many others that the office performs. 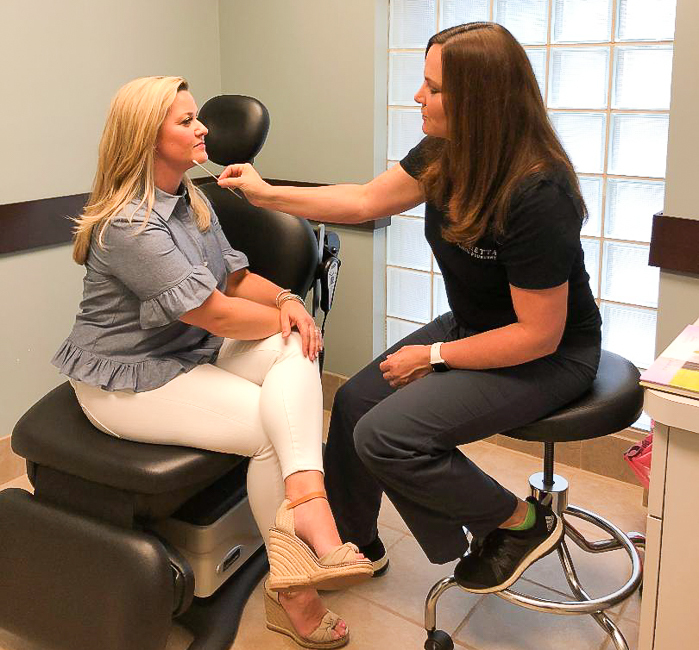 They offer a wide variety of non-invasive procedures such as CoolSculpting, laser hair removal, and laser skin-care treatments. They also provide a large range of invasive procedures like Breast Augmentation, Body Tite and tummy tucks. 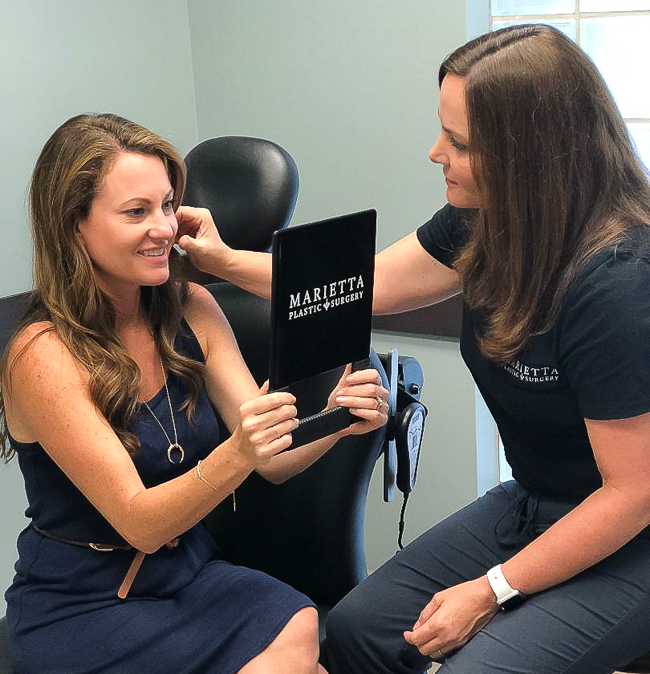 Marietta Plastic Surgery has two locations, one in Marietta, and one in Woodstock, Georgia. You can visit them online here for more information. You can also view a full list of all procedures that they perform. 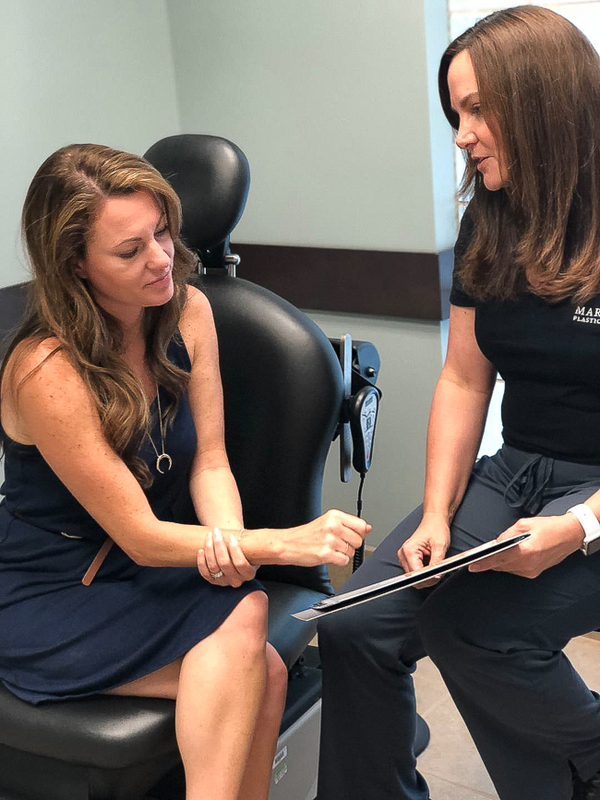 With over 20 years of experience, we knew that we were in good hands, and we cannot wait to take you along with us for the procedures as well as the results. Be sure to stay tuned! This post is brought to you in collaboration with Marietta Plastic Surgery. But as always, our opinions are our own. 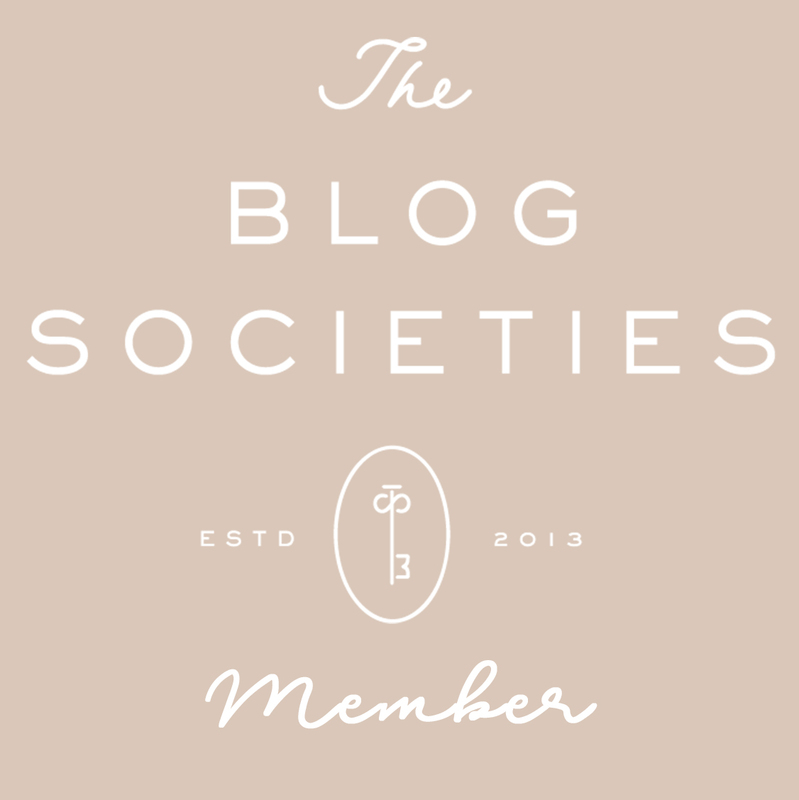 Learned so many things about skin care with this post. Lots of really interesting procedures. Thanks for sharing dear!